By now, you might have noticed that there are some pairs of Japanese verbs which look similar, but have slightly different meanings. These pair of verbs are called transitive verbs and intransitive verbs. Transitive verbs or 他動詞 (tadoushi) are verbs indicating personal action of changing something. The focus is on someone who did the action. On the other hand, intransitive verbs or 自動詞 (jidoushi) are verbs indicating movement of something. The focus is on the movement itself and it doesn't matter who did the movement. You can see from the sentence patterns that since an transitive verb is talking about action done by someone, there is always a direct object to act upon. Therefore particle を (wo) is being used. However this is not always the case. When you go to the next lesson, you will learn that there are times when the particle が (ga) is being used for transitive verbs. But for the time being, just know that most of the time particle を (wo) is being used. As for intransitive verbs, since the focus is on the movement and not on the person who did the action, particle が (ga) is normally used. Let's use some examples to show how both transitive and intransitive Japanese verbs are being used. Meaning: Mr Tanaka stopped the taxi. In the above first example, you want to say that Mr Tanaka stopped the car (he made the change). Therefore the transitive verb とめる (tomeru) is used. In the second example, you want to describe the movement of "taxi stopped", hence the intransitive verb とまる (tomaru) is used. The rest of the examples will be similar. The first one is the transitive verb and the second one is the intransitive verb. Meaning: Mr Yamada closed the door. Meaning: Mr Tanaka opened the window. Meaning: Teacher swithed on the light. Meaning: My mother switched off the TV. Meaning: I brought the cat into the room. Meaning: Insect came into the room. Meaning: I put the cat outside the room. Meaning: Insect went outside the room. Meaning: My mother laid the plates. Meaning: I went into the queue in front of the store. Meaning: Teacher started the lesson. Unfortunately there is no rule to differentiate between transitive and intransitive Japanese verbs. The best way is to memorize by hard. 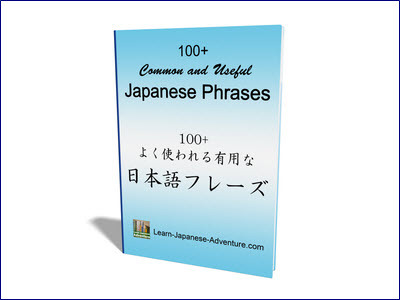 The more pairs of Japanese verbs you come across, the more you can tell which one belongs to which group. 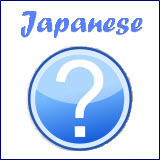 Most of the time transitive verbs end with an "eru" or "su" sound, like for example, あける (akeru) and けす (kesu). Intransitive verbs oftenly end with an "aru" or "ku" sound. But sometimes they also end with an "eru" sound. For example, とまる (tomaru), あく (aku) and でる (deru). 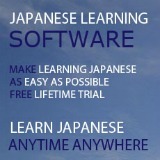 However there are always exceptions in Japanese, so it's not always true for the above guidelines. Therefore the best way is still to memorize them.